Club Penguin Cheats by Mimo777 Club Penguin Cheats by Mimo777: Club Penguin Adds System Defender Stamps! Yeah, I know, my stamps are pathetic! I gotta get busy! 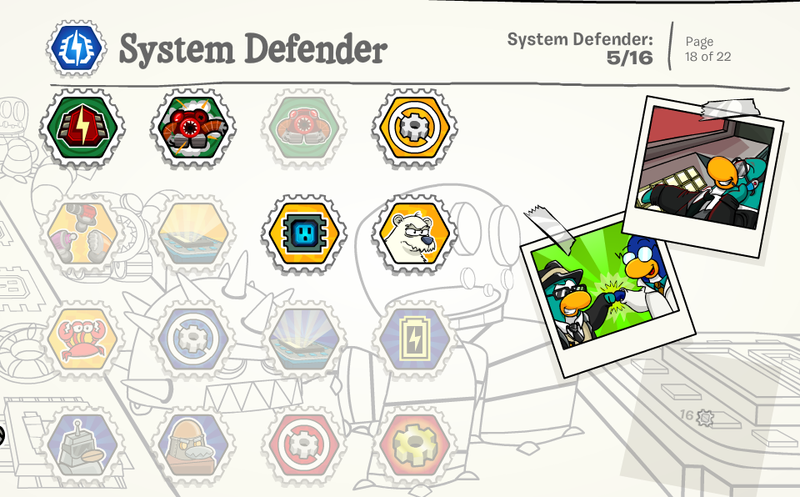 Have you earned all the stamps for System Defender? How 'bout these new stamps, do you have them yet? I just had a try, and I think we need a new level! Cool! Hey the party is here and the new pins are out! There is one room called the spinning room, Club Penguin is really making fun out of all the bugs... The yellow puffle pin is at the mine shack, but I haven't found the other one yet. White puffle pin in the book room! The box dimension is at snow forts, there are lots of new rooms. The party is not very exciting. Most things are from last year's party... Though there is a new free item at the dock: the purple propellor cap! I just noticed that you could submit your artwork in the bookroom instead of in the newspaper. I seem to be very silly to not have noticed it earlier. I don't have this update for some reason! Where is the spinning room? The stamps have been removed! 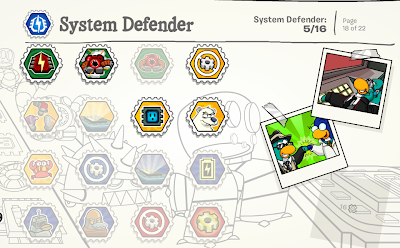 my penguins stampbook dosent have any new system defender stamps! They are not in my stamp book! WHY? Hey, Miniclip8767! It's at the Recycling Center! I'm so glad it's back, because I thought it wasn't! System Defender is one of my favourite games... but I don't have the new stamps! And I don't mean I can't get them, they just won't show in my stamp book! I didnt get any new stamps! the stamps havent shown up on my account... :( help?